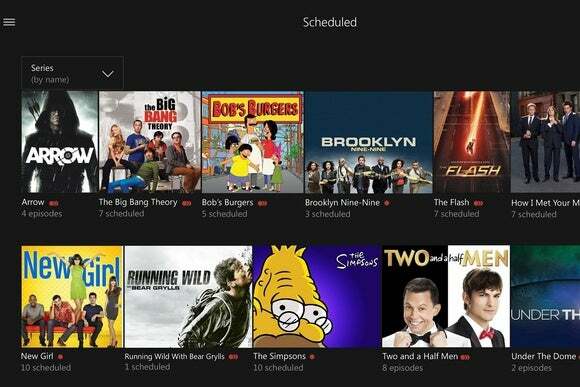 Without Xbox, will broadcast DVR ever get its mainstream moment? In search of a plug-and-play solution for recording and streaming broadcast channels. Microsoft handed some bad news to cord cutters last week when it announced that it was stopping work on over-the-air DVR features for the Xbox One. Originally announced last year, Microsoft planned to support free recording of broadcast channels (CBS, NBC, Fox, and so on) using the Xbox One TV tuner and an over-the-air antenna. Beyond just playback on the Xbox itself, users would be able to stream recordings to the Xbox app on Windows, iOS, and Android, with support for offline playback on Windows. Microsoft now says it’s indefinitely putting those plans “on hold” while it focuses on gaming features. The DVR features were a big deal because they promised to give cord cutters one box that did it all, from live TV to DVR to streaming. While other options exist today for over-the-air DVR, none are as seamless as what Microsoft promised, and nothing similar appears to be on the horizon. Compared to the DVR features in most cable boxes, broadcast DVR can feel like a hack. At minimum, you must supply your own antenna to pick up over-the-air channels, and you may have to supply your own storage as well. If you want modern features like the ability to watch recordings on your phone or tablet, the setup becomes vastly more complicated and expensive. On the basic end, you can buy a cheap set-top box like the MediaSonic Homeworx HW180STB. Plug in an antenna and an external hard drive, and you can record as many shows as you want—provided you’re comfortable wrestling with the device’s clunky remote and software. Slicker solutions come from companies like TiVo and Channel Master. Both the TiVo Roamio OTA and the Channel Master DVR+ are available without ongoing subscription fees, and both boxes include limited access to streaming-video services as well. On the downside, they’re expensive at $400 with 1.0TB of built-in storage (though Channel Master has a $250 model that lets you attach your own hard drive). Also, Channel Master doesn’t support watching recordings on other devices such as phones and tablets, while the TiVo Roamio requires a separate TiVo Stream accessory, which costs $130. Another way to combine over-the-air recordings, streaming services, and viewing across devices is with a networked DVR, such as Nuvyyo’s Tablo ($200 and up). With this setup, you connect an antenna and an external hard drive to the DVR, then connect the DVR to your router over Wi-Fi or ethernet. Recordings then stream to the Tablo app on phones, tablets, and TV boxes such as Roku and Amazon Fire TV. This is the most complete solution, but the need to supply your own hard drive and streaming-TV box adds cost and complexity. Microsoft’s plans for the Xbox One weren’t perfect—you’d still have to supply your own antenna and buy the company’s official USB tuner—but they did promise a more streamlined setup, with ample storage and streaming to other devices built in. And while the total cost would have been comparable to other solutions at around $400, that price included a full game console and access to a large library of streaming-video apps. Deep down, I’m still hoping some company can find a way to legally capture the magic of Aereo, a subscription service that streamed live and recorded broadcasts to phones, tablets, computers, and TVs. Aereo cut down on hardware clutter by storing individual antennas for each user in remote warehouses, along with users’ recordings, so that the only necessary hardware was the device you intended to watch on. Unfortunately, this approach was deemed illegal by the U.S. Supreme Court in 2014. 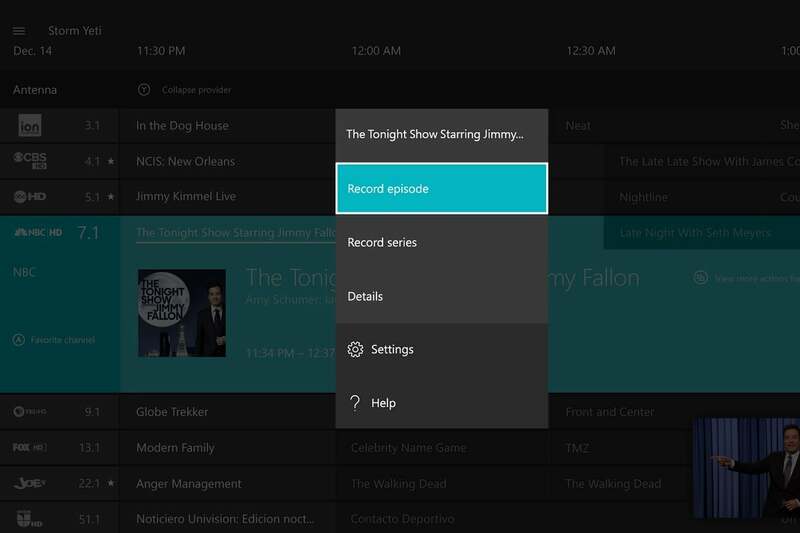 Microsoft was arguably in the best position to deliver over-the-air DVR to the masses. Its console is already installed in millions of homes, and it would have been a natural hub for all your recordings. Down the road, you could imagine streaming these recordings to secondary TV devices (like the persistently-rumored Xbox TV) or accessing them through Microsoft’s cloud services (such as OneDrive or Azure). This is obviously just speculation, but the result could have been a modern successor to Windows Media Center. Maybe Microsoft will revisit that concept some day, but I wouldn’t bet on it. For now, over-the-air DVR will remain a niche tool for only the most dedicated cord cutters.